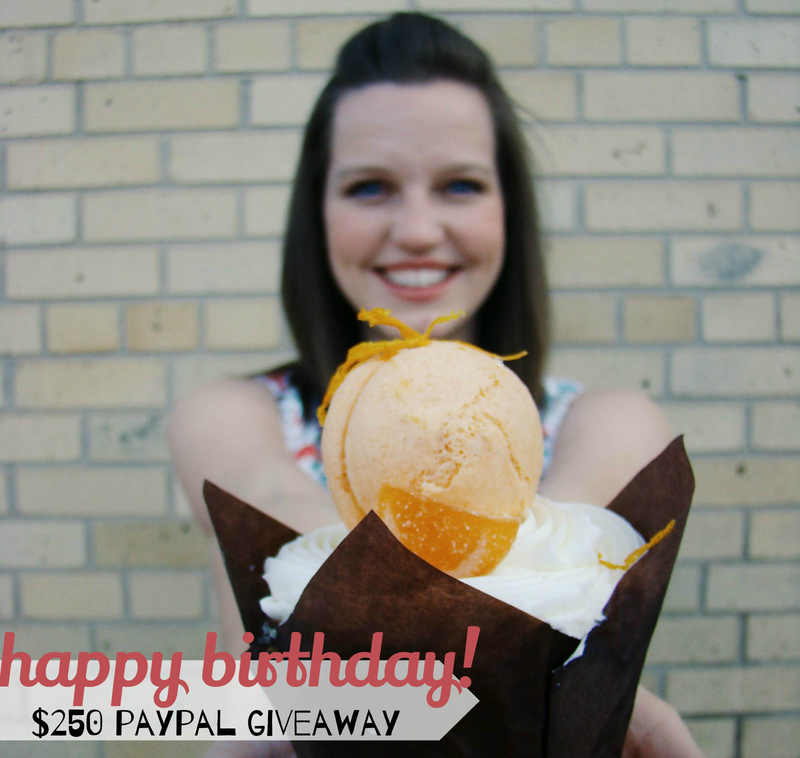 Living Colorfully: $250 Cash Birthday Giveaway! hello sweet readers! today i have something BIG for you! you probably already guessed it buy the title of this post and the giant picture of my cupcake & my face, but tomorrow i am turning 26!!! in honor of such a momentous occasion, i joined up with some lovely ladies to give you the chance to win $250 cash! as i thought about what i wanted to do, i wanted to find a way to celebrate with all of you because you are a huge part of my life. think of this as a party where you are all invited over to my house, you get to meet new friends, chat about, and then one of you gets to walk away with the ultimate party favor - two fifty bucks (because i don't want to be the only one getting gifts today!). THANK YOU TO ALL THESE LADIES WHO ARE HELPING ME WITH THE PARTY!!! Brynne of Thatch & Thistle, Maddie of Maddie Richardson, Alyssa of Impractical Composition, Megan of Rivers & Roads, Liz of Life as Liz, Britney of the Quiet Place, Rachel of Rachel Boulevard, Abby of Becoming Blog, Robin of Fly Free, Elizabeth of Omnnomnom, Jenna of Dearest Love, Tina of Like Ordinary Life, Robin of Living Colorfully, Katie of Lublyou, Angie of My So Called Chaos, Tyler of Arkansassy, Amanda of Little Tranquility, Jillian of Brave Sunday, Mary of Trusty Chucks, and Janene of Celebrating Life. $250 is an appropriate summer ice cream fund, right? Happy Birthday! I would love this give-a-way because I need some moohla for my upcoming Myrtle Beach weekend! $250 would buy me some new Maxi dresses!! Well, toyota called me this morning and suggested about $1k of maintenance....naturally right as we just put a contract in on a house - so this would help tremendously! I would put it towards a new dyson! P.S. You have the rafflecopter form listed twice and a couple of the links say Instagram but go to Facebook. I would use it towards my summer vacation. I would take a little trip to the beach! Put it towards a little vacation! It would go to replace the windshield on my husband's pickup.